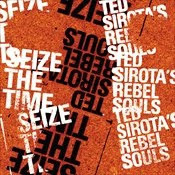 Seize The Time - Ted Sirota's Rebel Souls (NAIM) - Drummer/composer Sirota is a jazz activist in the manner of Charles Mingus and Max Roach with influences as far-ranging as Curtis Mayfield and The Clash. He's not afraid to mix his music and politics (listen to his interview with Jason Crane by clicking here) but even those folks who don't pay attention to politics will be moved by the music he makes. Flanked by Geof Bradfield (tenor sax, bass clarinet), Greg Ward (alto sax), Dave Miller (electric guitar) and Jake Vinsel (acoustic and electric basses), the drummer creates a program that blends music by several of his influences with fine originals. The CD starts with 3 pieces from those influences, "Clampdown" (The Clash), "13 de Maio" (Caetano Veloso), and "Free Cell Block F, 'Tis Nazi USA" (Mingus) as well as a gospel-soaked rendition of Stephen Foster's "Hard Times (Come Again No More.") It's easy to get lost in the calypso rhythms of Veloso's tune without knowing the song celebrates the day slavery ended in Brazil. Mingus's tune is quite melodic and rhythmical, a work written in the 1970s whose title reminds us that all men are not created equal in the eyes of a corrupt government. Other highlights include the drummer's dub-soaked "Killa Dilla" and Ward's funky yet progressive "The Keys to Freedom." Though this music celebrates freedom, it's not a chaotic free-for-all. Some of the beats are pretty heavy yet each song has a distinct melody (even Sirotta's unaccompanied tribute to Max Roach, "Viva Max! ", has a melody line.) The solos are, for the most part, short yet most are well thought-out. No matter your politics, "Seize The Time" is powerful creative music that offers much to the willing listener. For more information, go to www.tedsirota.com. Since Forever - Fred Simon (NAIM) - Fred Simon has been an active musician/composer for nearly 4 decades. His music, as displayed on this fine CD, straddles the lines between jazz, adult-contemporary, and popular song. With a sharp rhythm section (bassist and co-producer Steve Rodby and percussionist Mark Walker) and the strong reed playing of Paul McCandless (soprano sax, oboe, english horn, bass clarinet, duduk), Simon's compositions create aural paintings that invite listeners to sit back and get lost in the sounds. McCandless has always been an expressive player (best known for his work with Oregon) and he never relies on cliches to get through a solo. His use of the double reed duduk on "Song of the Sea" is highly evocative and gives the piece a stately yet mysterious presence. "No War Nowhere" has a sprightly rhythm and lyrical melody and Simon's two-handed piano work behind the soprano sax is forceful yet supportive. "Simple Psalm" rises sweetly above Walker's active cymbal and percussion work, with a melody that is soulful and touching. The inclusion of Joe Zawinul's "In A Silent Way" is a perfect compliment to Simon's originals pieces and could be viewed as a sonic template for the program. "Since Forever" is music for the colder months in that it easily warms the soul of the listener. But, it's also music that rises easily on the breezes of spring and summer. 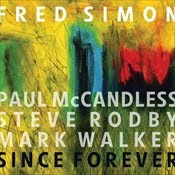 Some readers may perceive the words "pretty" and "sweet" as describing light or inconsequential music but Fred Simon's CD is mature, intensely melodic, and a balm to the darkness of the "real" world. For more information, go to www.naimlabel.com/recording-since-forever.aspx. 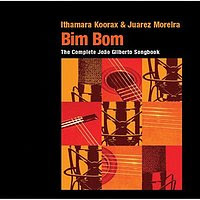 Bim Bom: The Complete João Gilbert Songbook - Ithamara Koorax & Juarez Moreira (Motema) - Voice, acoustic guitar and the music of João Gilberto, who could ask for much more, especially when the vocalist is the highly impressive Ms. Koorax. How best to describe this CD? The words "lovely" and "intensely melodic" easily come to mind. It's so easy to fall under the spell of this short (barely 41 minutes) but ever-so -sweet. Guitarist Moreira is up to the task of playing melodically yet keeping the rhythms flowing on the uptempo tunes, such as the title track and the disk's only purely instrumental piece, "An Embrace to Bonfa." The hypnotic "Undiu", with its droning low strings and nearly wordless vocals, is one of the finer cuts as is "Valsa (Bebel)", written for Gilberto's oldest daughter (who now is one of the most popular singers from Brazil.) The latter track features an overdubbed guitar solo and has a sound that might have influenced the songwriting of Paul Simon. Moreira overdubs electric guitar on the English language version of "Hô-ba-lá-lá" that closes the program. Ithamara Koorax has such a fine voice with an easy delivery that rings true throughout the program. Moreria's guitar is the perfect partner, always supportive, with clear, articulated, lines and short pithy solos. João Gilberto's music has rarely sounded better. For more information, go to www.motema .com or www.itharamakoorax.blogspot.com. Here's the title track of the CD, courtesy of Motema Music and IODA/Promonet. This can be both a beautiful and wonderful time of year and the older we get the more the pendulum swings between the 2 sides. On a personal level, 2009 was a tough year, especially with the death of several friends (including one very close to our entire family. On an artistic level, this was a great year for music and certainly for the jazz I like to listen to. Most of the time, I listen to new music, CDs I plan to review or others I've downloaded for fun. Every once in a while, I dig into my collection for music I haven't checked out in a while. Thanks to bassist Christian McBride's loving tribute to Ray Brown on jazz.com (read it here), I've dug out some of my recordings featuring the great bassist, including his duo with Duke Ellington ("This One's for Blanton" on Pablo) and Sonny Rollins' classic "Way Out West." Both wonderful recordings (the latter released in 1957) that still hold up. This morning, I was reading poetry by Carl Sandburg, spurred on by several pieces on the upcoming Sam Sadigursky release "Words Project III." Drummer/composer Matt Wilson, like the poet a native of Illinois, named his debut CD as a leader after a line from one of Sandburg's pieces and has been working on a large-scale project using a selection of the poet's works. 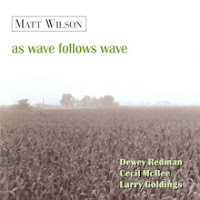 Wilson recorded his CD with the fine bassist Cecil McBee and his employer at the time (1998), saxophonist Dewey Redman (Larry Goldings adds keyboards on 3 tracks.) Pulling out the Wilson CD, I had forgotten the beautiful trio version of "Body and Soul" and listened in rapt attention, especially moved by Redman's playing. This experience made me ruminate on all the music that has really touched me over my lifetime (I've been aware of my love for and need of music for over 55 years) and, believe me, I'd be hardpressed to create a list of the artists. What makes us return time and time again to our favorite tracks? Certainly, the familiarity of the melody or the words and the memory of where or when we first heard the music. Even though we know what's coming, there's that tingle, that thrill (i.e., the opening chords of "Hard Day's Night", Peter Townsend's guitar intro to "I Can't Explain", Paul Chambers leading the band into "So What", John Coltrane's majestic "A Love Supreme", Julius Hemphill's thorny yet seductive "Hard Blues" and so much more) that shakes us and shapes us. In the time spent listening this Holiday morning, I thought about the emotional weight of music in my life and how it has made me who I am (for better or worse.) I do enjoy being with friends sharing food, wine and conservation. Chatting with my daughters and their respective mates and/or friends gives me great joy as does a quiet drive through an autumnal countryside with my wife (my best friend for over 4 decades.) But there are moments in a club or concert hall, in my living room or sitting on the porch under headphones being swept away by the power of a drummer, the finesse of a bassist, the fleet runs of the pianist, the flurry of notes from the horns or the plaintive cry of the singer that can just take away my breath, can eliminate the blues (even for an hour) and can help affect a change in attitude. I know others feel this way about music (no matter if it's opera, country or African high-life) and trust that you try to share this passion, even if there are times when you fell you're the only one. We are born alone, often die alone but, in the lifetime between our first and last breaths, we needn't be alone. I seem to spend a lot more time in the car lately and, more and more, there's not music playing on my iPod. If it's my wife and I on a longer trip, we laugh at "Wait! Wait! Don't Tell Me" or get serious with an audio track from "Bill Moyers' Journal." When it's just me, I find the interviews on Jason Crane's "Jazz Session" to be quite satisfying listening. Over the past several years, Crane (pictured left) has chatted with jazz greats such as Sonny Rollins, Chico Hamilton, Sam Rivers and Marian McPartland and introduced audiences to The Respect Sextet, arranger/composer Dave Rivello and saxophonist Darius Jones (among many other young and lesser-known players.) A musician himself, Crane is rarely in awe of his subject (at least, he does not fawn all over them) and asks quite probing and relevant questions. One can download the shows for free by going to www.thejazzsession.com or through iTunes. It's worth your time. I have written in the past about Josh Jackson and WBGO-FM's "The Checkout." The show gets stronger all the time - for example, Thanksgiving week's segment included interviews with Maria Schneider, John Hollenbeck and David Berger, composers all and leaders of large ensembles. As with Crane's program, one meets all kinds of musicians and hears many examples of modern jazz. It, too, is available on iTunes and you can listen online at www.wbgo.org/thecheckout/. WBGO streams its jazz programming online and there's lots to choose from - go to www.wbgo.org where you can eyeball the offerings. New Orleans is well-known as the birthplace of jazz and one hears great examples all the time through the efforts of Wynton Marsalis, pianists Tom McDermott, Dr. John, Marcus Roberts, Allen Toussaint, and clarinetist Dr. Michael White. The Crescent City has an active improvisational music scene and you can check out live mp3s by going to openearsmusic.org/. Trombonist/composer Jeff Albert (picture courtesy of Zach Smith) founded the weekly improvised and creative music concerts known as the Open Ears Music Series, and now co-curates the series along with Justin Peake and Dan Oestreicher. If you're in New Orleans, you can find the music on Tuesday nights in the upstairs room of the Blue Nile on Frenchmen St. Yes, the music does not conform to what you might expect from that part of the music world but it's often quite involving and frequently exciting. This site is all music and I often listen to it working in the yard or around the house. Enjoy the holidays! Thanks for reading! Here's some fine new music from the Rob Garcia 4 "Perennial" CD, released on the BJU Records label and featuring West Hartford native Noah Preminger on tenor saxophone and the impressive young pianist Dan Tepfer. Garcia is the drummer and composer with Chris Lightcap on acoustic bass. Trombonist-composer-arranger Bob Brookmeyer celebrated his 80th birthday on December. If you don't know Brookmeyer's music (shame on you), you may have heard works by composers who the Kansas City, Missouri, has taught and mentored, people such as Jim McNeely, Maria Schneider, Ayn Inserto, Dave Rivello, John Hollenbeck, and Darcy James Argue. Click on Argue's name and you can read his loving tribute to the man and hear 5 cogent examples of his work. Brookmeyer is opinionated (as you will hear in the video excerpt below) but he backs up his words with the music he has created over the past 6 decades. He created brilliant melodies and charts for the Gerry Mulligan Concert Big Band, the Thad Jones-Mel Lewis Orchestra which became the Mel Lewis Orchestra, and, after the drummer's death, the Vanguard Orchestra. Amazingly, he has no "American" band but most of the music he has produced over the past 15 years has come from his association with the NewArt Orchestra, an 18-piece big band based in Holland. My suggestion is to go to www.bobbrookmeyer.com and check out what the man has done. It's been a career filled with ups and downs but the music has been consistently strong. And, believe me, he's not done yet. Part 1 of "My Favorites of 2009" included 21 solo, duo, trio or quartet CDs that are worth your attention. This posting is dedicated to the larger group (6 or more members) recordings of the year. There was much to savor, from the high-energy burn of Darcy James Argue's Secret Society's "Infernal Machines" to the intricate arrangements and generous melodies of John Hollenbeck's Large Ensemble's "Eternal Interludes" to the classical and creative pieces that make up the Gotham Wind Symphony's "New Year, New Music." What those 3 recording have in common is the influence of composer/arranger Bob Brookmeyer. In fact, you can say that about Dave Rivello's "Facing The Mirror" and the Schumacher-Sanford Sound Assembly's "Edge of the Mind." Each group is different and the composers whose works are used come from varied experiences but every one of the disks is built around the "total" sound and not merely vehicles for soloists. The SF Jazz Collective continues its impressive run of concert recordings. The 2009 edition is dedicated to the music of McCoy Tyner and the septet (Dave Douglas, Joe Lovano, Robin Eubanks, Miguel Zenon, Renee Rosnes, Matt Penman and Eric Harland) plays with great precision, gusto and, at times, abandon. Per usual, the program also includes original works by the members of the group and they do not disappoint. In January 2009, I reviewed the 2008 edition, an octet (Stefon Harris on vibes) that explored the music of Wayne Shorter. You cannot do wrong by checking out any or all of this organization's recordings. For more information, go to www.sfjazz.org. "Farewell Walter Dewey Redman" - Mark Masters Ensemble - (Capri Records) - A heartfelt musical tribute to the fine tenor saxophonist notable for the impressive work of trumpeter Tim Hagans and the highly-charged alto saxophone of Oliver Lake. "Pluto Junkyard" - Lucky 7s - (Clean Feed) - A great combination of musicians and ideas, including a smoking brass section of trumpeter Josh Berman and trombonists Jeb Bishop and Jeff Albert. "Madeleine Dreams" - Taylor Ho Bynum & SpiderMonkey Strings - (Firehouse 12 Records) - A fine ensemble recording, featuring smart arrangements and the fascinating vocal work of Kyoko Kitamura. 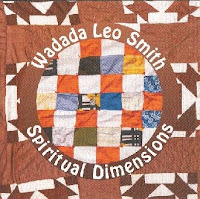 "Spiritual Dimensions" - Wadada Leo Smith - (Cunieform Records) - Actually 2 sessions, the first with a crackling quintet featuring pianist Vijay Iyer, bassist John Lindberg, and 2 great drummers, Pheroan ak Laff and Famadou Don Moye.The second disc, recorded at Firehouse 12 in New Haven, features a octet plus overdubbed guitar from Nels Cline, with several cuts using 4 guitars. Describing the music is futile save to say it is challenging and rewarding - Smith's crisp trumpet lines are joyful and exploratory throughout. Call it fusion, call it progressive, whatever you wish but there are moments that are pure bliss. If my count is correct, that's 36 CDs in all (between the 2 lists - can't make up mind, you say.) As I stated before, 2009 has been a great year for listening. The final show for the 13-week series takes place Friday December 18 at Firehouse 12, 45 Crown Street in New Haven and features the Daniel Levin Trio. Led by cellist/composer Levin, the 3-some (also featuring drummer Frank Rosaly and bassist Ingebrigt Haker Flaten) creates music that combines through-composed lines with challenging improvisations and keeps the listener involved. The music rarely roars but is often filled quietly heated interplay. A fascinating combination of the sonorous cello and deep, full, tones of the acoustic bass gives this music depth. To find out more about Levin and t get a taste of his original music, go to www.daniel-levin.com. The trio plays 2 sets, 8:30 and 10 p.m. - for ticket information, call 203-785-0468 or go to www.firehouse12.com. The Bill Frisell Trio, with Eyvind Kang (violin) and Rudy Royston (drums), will play a special show at Firehouse 12 on Tuesday March 9, 2010. Two separate sets, 8:30 and 10 p.m., each at the cost of $30. Last time Frisell was in New Haven, the show sold out in less than a week (and, for good reason - Frisell's music is complex and rich, filled with creative twists and turns.) Call the phone # above for more information. David Chevan (bass) and Warren Byrd (piano, vocals) have played music together for over a decade, creating a hybrid of African America spirituals, Jewish liturgical music, jazz, blues, country blues and more. Over the years, the Afro-Semitic Experience has grown into quite a working band, with the dynamic rhythm section of Alvin Carter Jr. (drums) and Baba David Coleman (percussion) and the highly expressive violin and dobro of Stacy Phillips. I've been impressed with the development of reed player Will Bartlett (tenor sax, clarinets) - his voice has gotten stronger in the band's mix, with solos that blend fire and melody. For its new recording, "The Road That Heals the Splintered Soul" (Reckless DC Music), the sextet has added the harder-edged sound of trumpeter Saskia Laroo to its mix. Recorded at Firehouse 12, the program really cooks, from the opening "Shout Out From The Mountain", with its Klezmer-influenced horn and string lines over fiery latin/African percussion. The title track hearkens back to the easy, sweet, soul music of the 1970s , with heartfelt vocals and gospel-influenced piano from Byrd and rich resonator guitar riffs from Phillips. The solos section rides atop Chevan's active walking bass lines. "Adon Olam", a prayer usually sung at the end of the Sabbath morning service, gets a funky Earth, Wind & Fire makeover, with the tenor sax, violin and trumpet weaving in and around the danceable beats. "A Torah Afloat in a Leaky Boat Lands in Congo Square", a tune influenced by events surrounding Hurricane Katrina, builds slowly from percussion and bass to a second-line groove celebration of survival (great clarinet work from Bartlett.) The tenor saxophonist's "Road to Redemption" opens with a fine piano solo that leads into a bluesy statement of the theme by Laroo. Later in the tune, Bartlett plays an emotionally rich tenor solo that plays off the emotion of the piece. The Afro-Semitic Experience continues to evolve as a unit, creating music that is truly American, the America of immigrants who fused their native customs and sounds to the dreams of freedom. No one voice stands above the fray - this is truly a "team" effort. 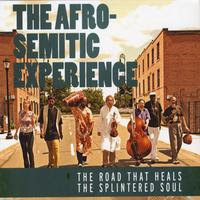 Highly spiritual but quite earthy, melodically strong and rhythmically charged, "The Road That Heals The Splintered Soul" is a musical journey that goes in many directions but never leaves one unsatisfied. Get the CD then see them live, for this band can really shake the rafters. For more information, go to www.chevan.addr.com. I am of the opinion that 2009 has been an excellent year for creative music, jazz, folk and more (and I'm not alone.) To try and narrow down a "Top 10" has been fun and, in the end, an impossibility. Therefore, I've split up the list (the larger groups follow later this week.) The following is in no set order of preference. 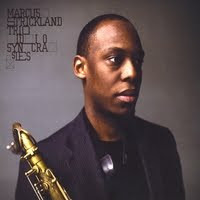 Marcus Strickland released 2 CDs in the space of a month this spring and both are excellent. "Idiosyncracies" (StrictMuzik) is a trio recording with brother E.J. (drums) and Ben Williams (bass), the approach descended from the legendary Sonny Rollins Trio recordings of the 1950s. The band is tight, the material intelligent (originals mixed with works by Stevie Wonder, Bjork, Oumou Sangare, Andre 3000 and Jaco Pastorious) and the results a delight. "Of Song" (Criss Cross) adds pianist David Byrant to the mix and is a "ballads" programs. Recorded 18 days after the Trio CD, the repertoire is all "cover" tunes save one and the band just as focussed. Taken together, this is 2 hours of great listening. 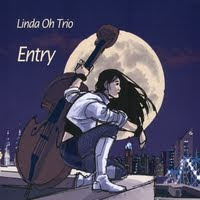 Bassist-composer Linda Oh entered the scene with "Entry", a self-released Trio disk that is quite mature and musical. With trumpeter Ambrose Akinmusire and drummer Obed Calvaire, the music moves in many and varied directions. Oh plays with spirit and fire, her lines both supportive and interactive. Another trio CD that has caught just about everyone's ears is Vijay Iyer's "Historicity" (ACT.) Pianist Iyer, bassist Stephan Crump and drummer Marcus Gilmore create a swirling mass of melodies and rhythms that is challenging and seductive, mesmerizing and thoughtful. Clean Feed, a label based in Portugal, released a number of fine CDs this year. 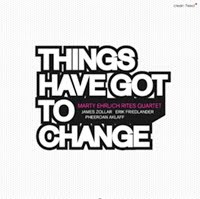 Three that made my list include the highly satisfying "Things Have Got To Change" featuring the Marty Ehrlich Rites Quartet. Saxophonist Ehrlich, who has worked tirelessly to keep the music of his mentor Julius Hemphill (1938-1995) alive, works with a fine group including James Zollar (trumpet), Erik Friedlander (cello) and Pheroan ak Laff (drums.) 3 of the 8 tracks are by Hemphill, including 2 that have never been recorded until this CD and a smoking take of "Dogon A.D."
Also on Clean Feed is the quiet and exploratory "Pieces of Old Sky" by trombonist Samuel Blaser's Quartet and the cool yet sparkling music of "Canada Day" created by drummer/composer Harris Eisenstadt and a empathetic quartet. Firehouse 12, the splendid recording studio and performance space in New Haven released several strong CDs in 2009 but none more impressive than "Byzantine Monkey" from bassist John Hebert. 3 reed players (Michael Attias, Tony Malaby and Adam Kolker) work alongside drummer Nasheet Waits and percussionist Satoshi Takeishi to bring Hebert's fascinating works to life. There's great rhythmic fire and interplay with melodies that draw on the bassist's familial home (Louisiana) and the influence of pianist Andrew Hill. But the music does not sound Cajun nor do the majority of the pieces sound like Hill - in fact, it's hard to pin down influences. So, don't. Let the music play and bask in the creativity. Among the other releases that caught my ears is the exciting and raucous "That's Gonna Leave a Mark" from the Matt Wilson Quartet (Palmetto), "Paris/London: Testament", a riveting solo piano release from Keith Jarrett (ECM) that is his most musical and emotional work in a long time, and "Spirit Moves", a modern brass band quintet known as Brass Ecstasy led by trumpeter/composer Dave Douglas (Greenleaf.) The joy emanating from this group's music is palpable and very seductive. "Obsession" - Tessa Souter (Motema), featuring a smashing take on "Eleanor Rigby." "The American Dream - Frank Carlberg (Red Piano Records), featuring Chris Cheek (saxes), John Hebert (bass) and the expressive vocals of Christine Correa. "Esta Plena" - Miguel Zenon (Marsalis Music), a truly exciting blend of Puerto Rican roots music and jazz. The Hartford Courant has finally decided to close down SEE! HEAR!, the column I started writing about the arts in 1997. The print edition was discontinued in October 0f 2008 but the blog has continued to live. Until now, that is. Step Tempest will be my outlet for reviews, previews and links to jazz, classical and other music that touches my life (and that I like to share.) There is lots and lots of music out there and plenty of people blogging about it - through my writing, I hope readers discover new artists or rediscover composers or performers who they may have forgotten over the years. We'll see where this obsession leads. Feel free to contact me at richard_b_kamins@snet.net.